This is not an article: it’s an introduction to a series of articles. Actually, to a huge interview. This is different from the rest and may seem off topic, but I don’t think it is. Certainly, it is very important to me because it sort of closes a circle started long, long time ago. An explanation is necessary, of course. You may know, or not, that I was a musician in my previous life. Someone may argue that I was a wanna-be musician later mutated into a sound engineer and music producer, but that’s not so important. Let’s say I have a solid past record which has a lot to do with music. Musicians, sound engineers, photographers and post-producers have something in common: we all deal with energy rather than matter. Sound and light are something we can’t hold in our hands, differently than paint or clay. That’s one of the things that differentiate us from painters and sculptors. Two of the most iconic LP covers in rock history. You are righteously considered one of the most famous and iconic rock photographers in history. 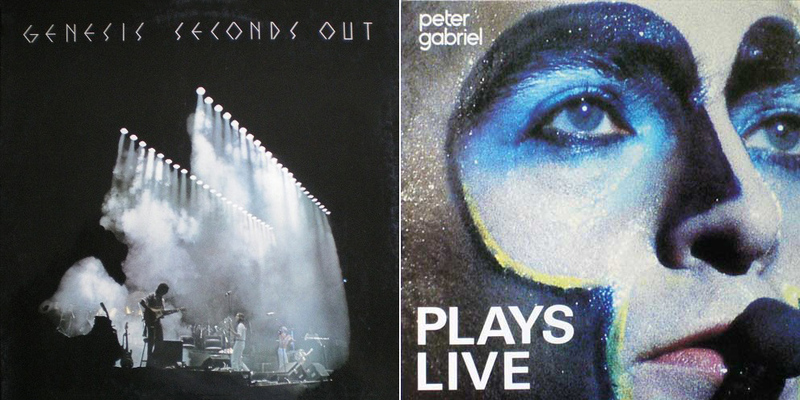 A friend of mine is a rock photographer, and he once told me: “for everyone of us, Armando Gallo is God!” You started with film, of course, and some of your photographs became absolutely historic album covers, like Genesis’ “Seconds Out” or Peter Gabriel’s “Plays Live”. How did you approach photography on stage? My VIP pass for the U2 concert in Modena, May 1987. It was not just Genesis of course… I remember that back in 1987 one Saturday morning I got a call from you, out of the blue. You were in Bologna and you told me: “if you can grab a VTR and drive down to Bologna, you can meet U2″. I picked the one which was in my parents’ living room and drove down… so you were on tour with them, as a photographer? 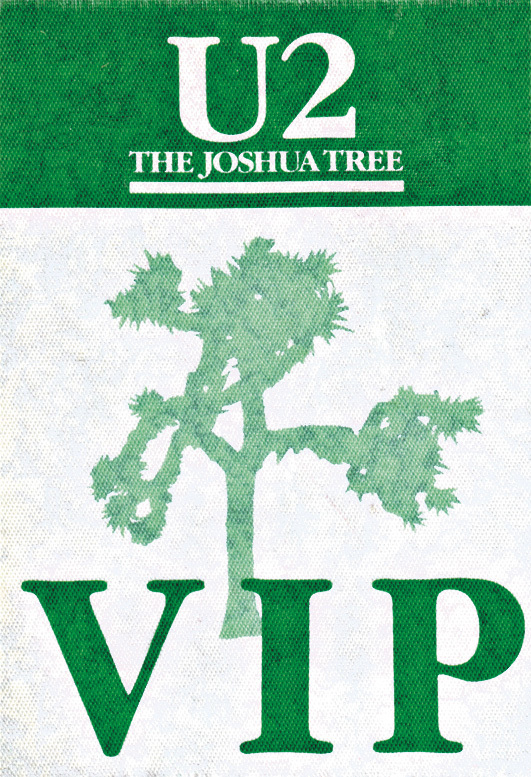 It was “The Joshua Tree” tour and I still have my VIP badge. How did you get in touch with them? About that day… I feel so bad that I was very… well, they were very clustered, and they didn’t want anything or anybody from the outside. The first time I showed them my pictures, their manager told me I couldn’t stay in the room, and this was only a month before the episode you mention. When you came I thought that there were too many people in the room, but I wish you’d stayed in the room because… you could have been there to operate the video. That day was so good because two years later Bono used what I told him that day, when I showed them the pictures like the tour programs should have been… their tour program had no pictures from the concert, and I said “people go away from the concert and they want a memory of that concert. OK, you print the tour program before you go on tour, but one month into the tour you should add the live pictures, you should change the pictures and do a new reprint.” And that’s what they did for “Love Comes To Town”. He was wonderful, you know, I went to see them in Australia and then they called me up to go to Japan. I get to Japan and the first thing that Bono says: “Did you see the tour program?” and they had used the pictures I’d taken. So, you know, that day when you came down to Bologna was very good. And you know… when you show something; sometimes you don’t get instant gratification straight away. I had to wait two years to get this incredible surprise from Bono. I suppose your contact with Tony Stratton-Smith led you to Genesis. My contact with Tony was a good thing. I didn’t go on being a journalist: I was a big rock fan, but the following year “BIG” magazine kind of folded, because the same publisher started “Man” and “Playman”, and they went, bang! through the roof. So they stopped publishing “BIG”. “BIG” had absorbed “Ciao amici” and became “Ciao Big” and after some chaos it re-emerged as “Ciao 2001″. Armando, how did it all begin? You went to London in 1966, I think.